Been fighting all the time? Bored as hell in your relationship? We’ve all been there. Experiencing relationship ruts is just normal, but it can still be isolating and frustrating every time you’re in that situation. That’s why we’ve listed down some of the simple and effective ways on how you can bring back the spark to your fizzling relationship. Try New Activities Together. Trying out new things together as often as possible is one of the important keys in maintaining a healthy relationship, because doing the same activities every time is what leads to boredom in a relationship. Some of the exhilarating activities that you can try include sky diving, having a couple massage, or taking a long weekend trip to a place you’ve never been before. If you’re still at loss for some good ideas, reflect on the exciting things that you did in the first few months of your relationship and try recreating those experiences. Talk About Each Other’s Needs. Bottling up all your needs is what decreases your relationship satisfaction and emotional well-being, and increases the chances of infidelity. So open up that bottle and discuss what you both need from your relationship, whether it’s splitting the grocery bill or a giving an emotional support. Go on Mini-Dates. Are you too busy to follow your date night rule? Then try eating your breakfast together, going out for lunch, or even designating 30 minutes each night for your daily talks. This one simple and easy way to stay connected with your partner. Express Appreciation for One Another. One simple way to do this is to name the things that you like about your partner. Challenge yourself to list the things that you like about each other and share them. Doing this will certainly make both of you feel more confident and attractive. 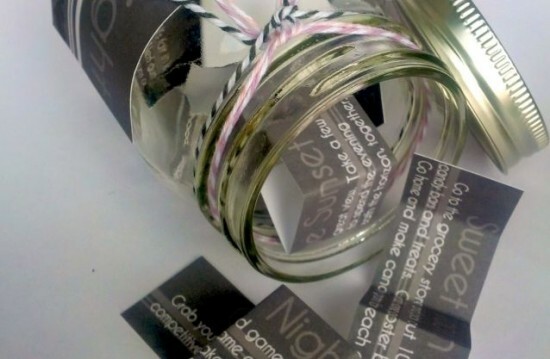 Make a ‘Fantasy Jar’. Write down as many fantasies that want on pieces of paper and ask your partner to do the same thing. Once you’re done, place all the paper in a jar then take turns in picking a piece of paper and in acting out each fantasy you picked. This is surely one of the best ways to heat up your fizzling relationship. When you’ve been together for so long, there will certainly come a time that you’ll feel bored with your relationship. But by trying out the aforementioned tricks, you’ll surely be able to get over any relationship rut and bring back how your relationship used to be.